Lil Uzi Vert headlines at A&O Blowout, joined by opener MØ and Chicago artist G Herbo. 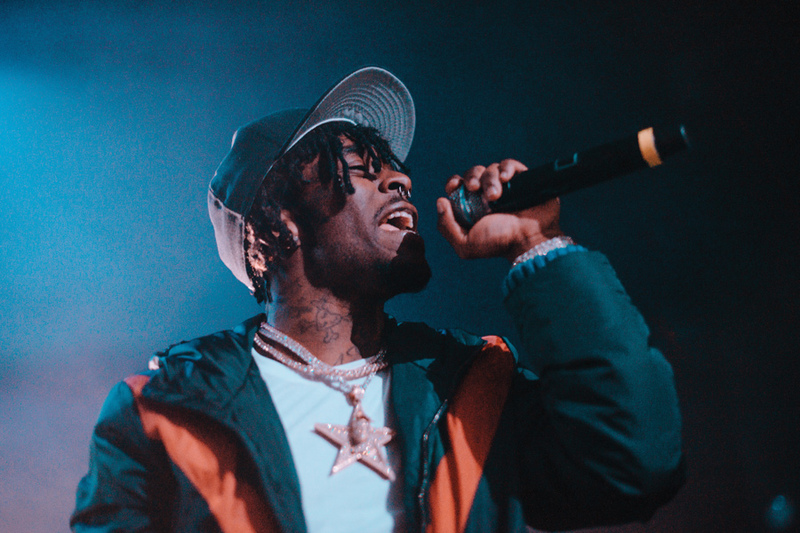 Lil Uzi Vert interacted with the audience at Friday’s event, climbing onto the balcony and dropping his microphone into the crowd. Lil Uzi Vert broke down the barrier between audience and performer at Friday’s A&O Blowout, traversing the balcony and dropping his mic into a sea of students. More than 2,000 people packed into Chicago’s Riviera Theatre for the event, filling the dance floor and crowding the upper level. The concert, organized by A&O Productions, featured headliner Lil Uzi Vert and opener MØ, as well as a guest performance from Chicago-based rapper and songwriter G Herbo. A&O co-chair Louisa Wyatt said the show was a huge success. After the release of Lil Uzi Vert’s single “XO Tour Llif3” last March, Wyatt said A&O anticipated that his album would be a hit, and jumped at the chance to book him. With 2,420 tickets reserved, this was the biggest Blowout in the past four years, A&O head of finance Aditya Jain told The Daily. The McCormick senior attributed high attendance to A&O booking talent well in advance and anticipating rises in popularity. MØ, the opener, interacted with the audience during her 40-minute set, leaning into the crowd and climbing onto box seats. When Lil Uzi Vert came out on stage, he danced with the winners of the box seat raffle contest, climbed onto the balcony and sang with the audience — even dropping his mic into the crowd, asking students to perform “XO Tour Llif3” themselves. Before the rapper’s set, A&O projected a statement on the backdrop of the stage that encouraged non-black students not to use the N-word while singing along to Lil Uzi Vert’s songs. The statement said non-black students “alienate” black peers when they say the N-word, which is inappropriate for the inclusive A&O shows. Wyatt, who wrote an op-ed in The Daily last year on the topic, said she was proud of the statement A&O made at Blowout. Though Wyatt said it was hard to tell whether the message achieved its goal, she felt it was a step in the right direction. McCormick sophomore Matthew Wertheim, who attended the concert, said he appreciated the announcement but did not feel that it solved the problem. Wyatt said progress was made because use of the N-word was much less noticeable this year than at past A&O concerts. At the end of the headliner’s set, a net burst over the dance floor, showering the audience with confetti and heaps of purple and white balloons.